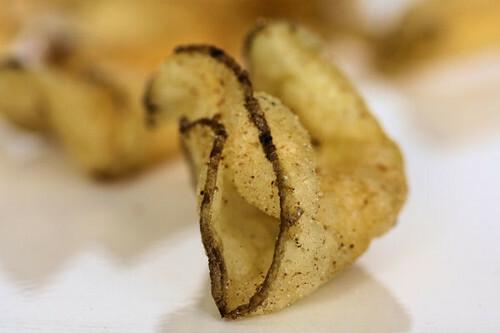 Cherrapeno: Just for fun, my crisp obsession! 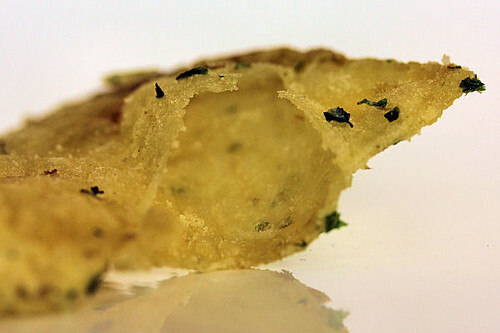 I don't eat that many crisps, but when I do, I always go for the folded ones first. Folded and with an air pocket! This is a perfect one, ahhhhh! Oh yeah baby, I've hit the jackpot - double the pleasure with this one!! So, what do you have an obsession with??? 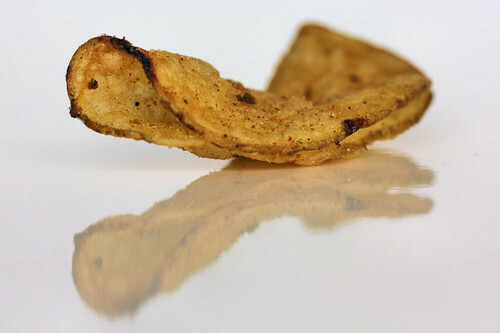 I hear you love those folded crispy chips myself. I have lots of obsessions, mainly it is my apple, cheese and crackers.... meal, or a snack any time of the day it is what I crave. My obsession is also crips. The more folded and bubbled the better, but I have to leave them till last...I'm craving crisps now. My boyfriend is mildly obsessed with crisps, one year for Christmas I got him a wholesale box (48 packets) and he was delighted! 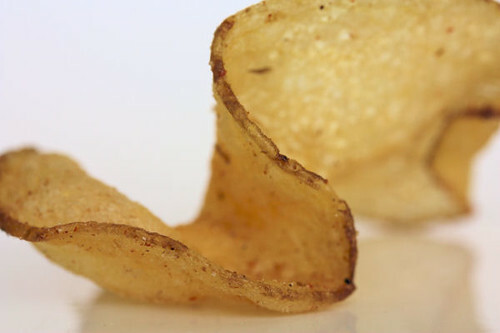 I like the odd crisp myself, and I too also go for the folded over ones first, they are just better than the flat ones! Love it! Thanks for making me smile. I tend to leave the biggest whole crisps to last, but I'll be leaving the folded ones now!!! Nothing annoys me more than a packet of broken bits - so disappointing! Too funny, I love those folded over ones too and seek them out! Yeah...why is it that that the folded ones seem to be the nicest ones in the pack?! That is so true!!! Gosh, I thought I was the only one who liked those folded ones... LOL. Where is my bag-o-chips now! I do like crisps! I can't buy a bag and have them in the house. Once opened I will eat them all. This is true of potato chips but even more so of tortilla chips. I'm getting a little twitchy just thinking about them. LOL - yessss the folded ones first lol - me too! I love the folded ones too... They have double the crispness! 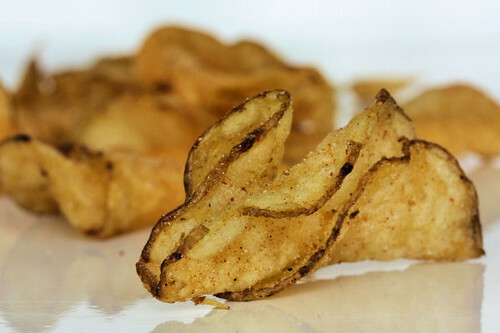 I love the folded chips too! It must be the extra crunch they have! LOL!! I adore sugar in any form!! Ack! I pick out all of the folded ones too! Chips are one of my weaknesses, but I've never found any as good here as the crisps you have on the UK. They are addictive! Chips are not my favourite food but I must confess I love playing with food and observing, comparing, enjoying like your pics suggest ! I also have to say I love homemade chips and some UK's chips !! In France they are not as good ! Made my mouth water just looking at your photos. 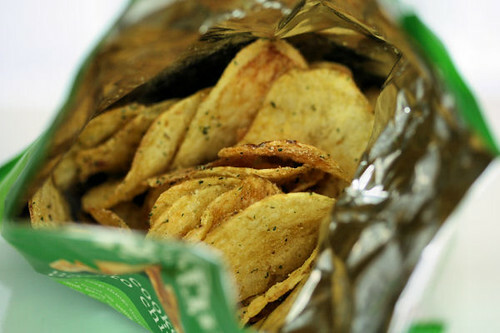 I love folded crisps too...salt and black pepper are my favs at the moment although when I was a kid I loved the pickled onion flavour! All the comments made me smile, so glad i'm not the only one...! And I thought it was only me... I tend to sort the broken from the intact or mostly intact ones, eat the smallest pieces first, then the partially intact ones. Then I sort the intact ones according to which ones seem to have the most seasoning clinging to them, and make sure I savour the most seasoned ones for last!! The variety of crisp flavours available is the primary reason why I live in this country...!